This element allows you to adjust the link text, text formatting and set the Link URL. Set the "Call to action" text for the link: The text that will be displayed for the link. Choose whether you want this URL to open in a new browser window or not. Set "Hint" text for the link: The text will be shown when the link is hovered over with your mouse cursor. 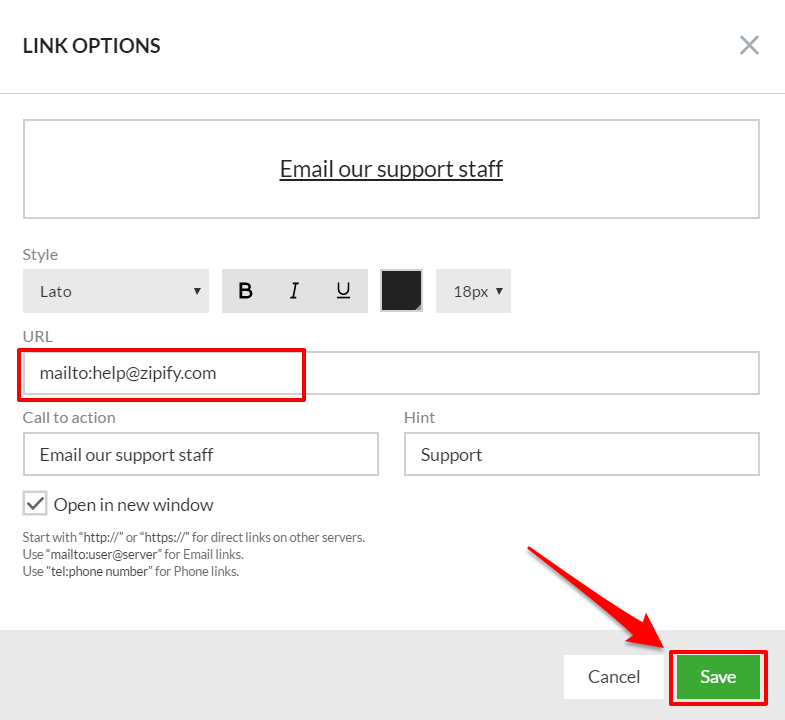 Use the provided formats to have interactive "mailto:" (to open an e-mail client with the addressee field predefined) and "tel:" (to have the phone number called when clicked on mobile telephones) links.